Are you already one of our valued customers? 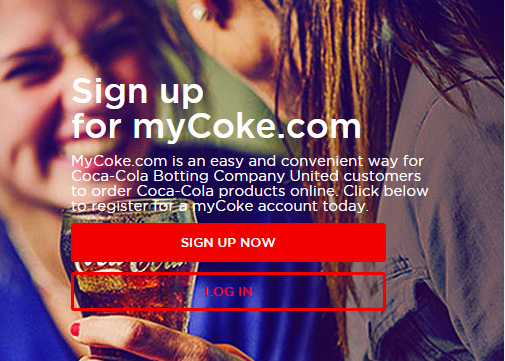 If you’re already one of our valued customers and have a UNITED.MyCoke account, go to UNITED.MyCoke.com to place your order for refreshing Coca-Cola products. If you haven’t signed up, and are pressed for time at the moment, we have more options below to help you get your order to us quickly. But, please, don’t forget to explore the customer benefits of signing up. Don’t have a UNITED.MyCoke.com account? Fill out the form below and select ‘Request a UNITED.MyCoke.com account‘ if you want to go ahead get the process started for establishing your online ordering credentials. If you would like to place an order online but don’t have a UNITED.MyCoke account, simply fill out the form below and choose ‘Place a Quick Order‘ option. Our Customer Solutions team will take care of your order. Use the plus sign icon to the right for more rows.